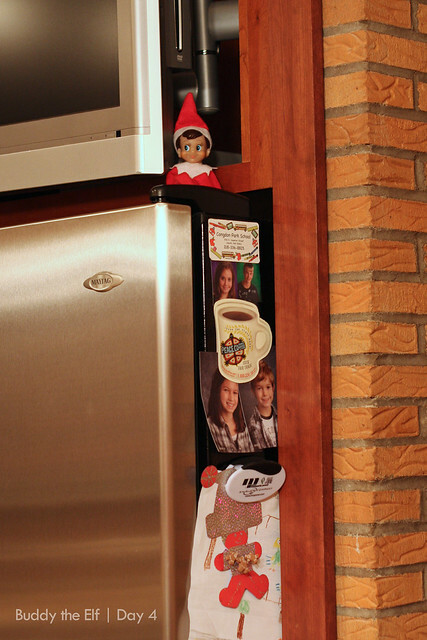 Last Christmas we received the “Elf on the Shelf” from Mike’s brother’s family. 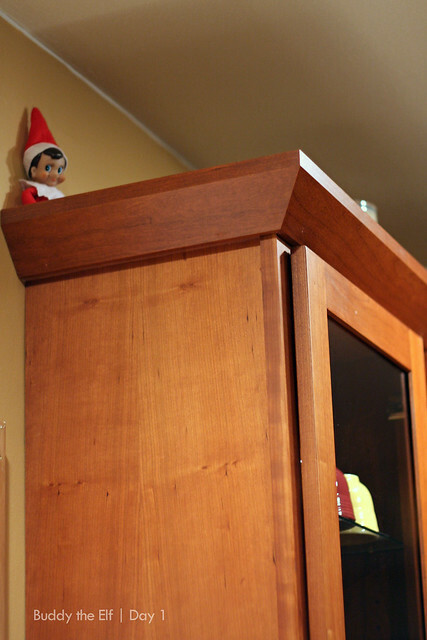 If you don’t know about the Elf on the Shelf, you can read more here. The short story is that he is the elf assigned to our family that reports back to Santa regarding the naughtiness or niceness of our children. 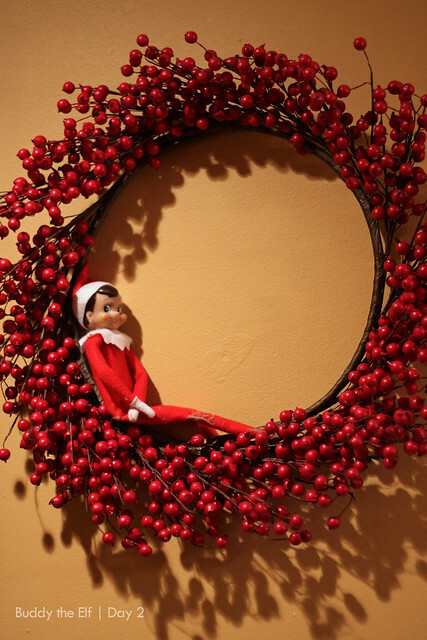 We didn’t get a chance to enjoy the tradition with our elf until this year – too bad though, we really could have used him last year. 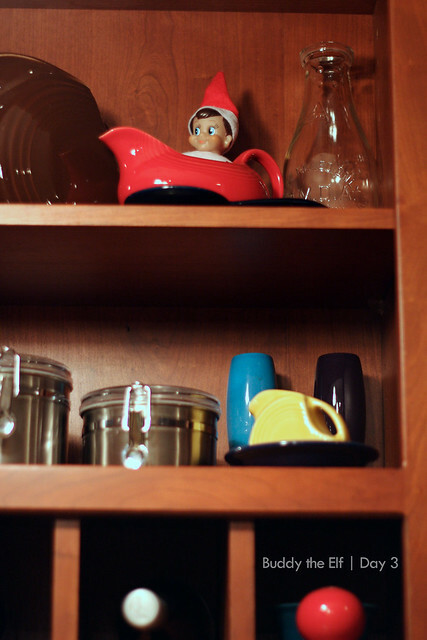 We took out our Christmas decorations just after Thanksgiving and our elf was ready to get the holidays started. We found out that our elf’s name is Buddy. 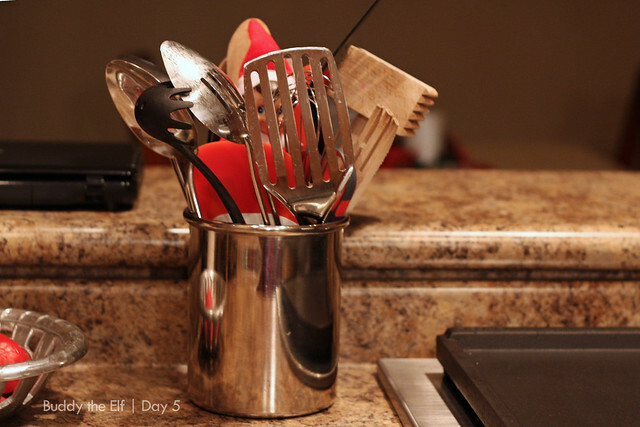 He has been hanging out in our kitchen so far this season, but we are never sure where he may wind up next. This is where he has been spotted this week. Stay tuned, we will keep you posted on Buddy’s movements throughout our household and also what kind of mischief he has been reporting back to Santa.